Recently, I got the opportunity to pick a piece of furniture from Sauder and, after carefully reviewing all my options, I chose this beautiful white dresser. I chose this piece because my dear hubby needed a new dresser for his bedside. Yes, I said dresser for the bedside! What can I say?? I like non-traditional bedside tables. You can see the current bedside table in this blog post. Besides the sad state of the wicker, the current dresser just wasn't roomy enough for all his things. We always (always, always!) need more storage around here! At this point, I'm sure you're wondering what a bedside table has to do with a baby shower. Well, this past weekend I hosted a baby shower and, before this dresser made it to our bedroom, it made a pit stop in my living room. Why? 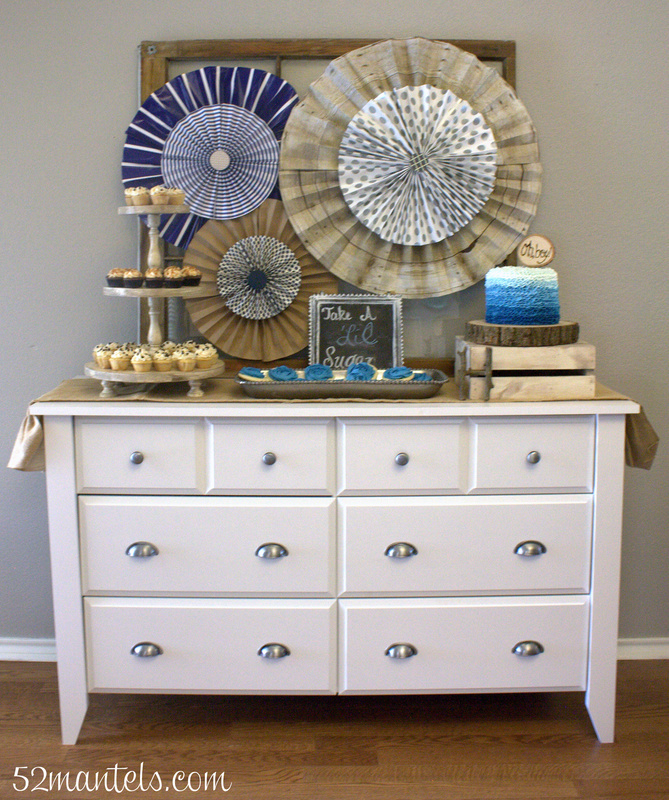 Because it was just what I needed to house a delectable dessert buffet! 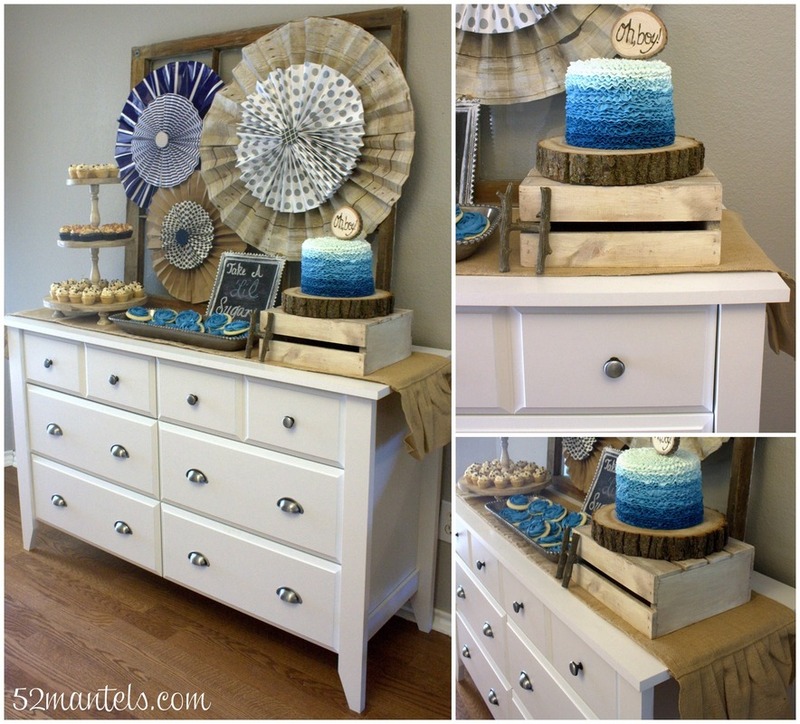 I'll show you the rest of the baby shower details soon, but first I wanted you to see how versatile this dresser is. The entire process, from ordering the dresser to receiving the dresser to assembling the dresser to styling the dresser, was a total breeze! The dresser arrived in one long box and my husband helped me assemble it in one short afternoon (okay, okay- he mostly did it alone while I distracted the 3 year old). 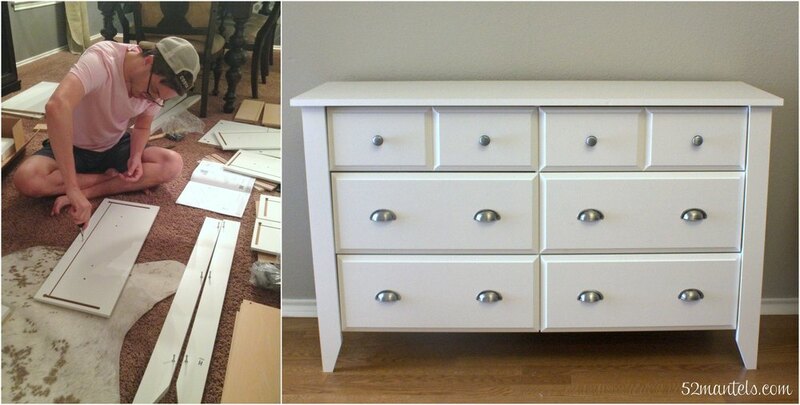 This is definitely a quality, affordably priced dresser and I'm already loving it! I especially like how the drawers gently close instead of slam shut. My daughter has filled some of the drawers with her things (she's a collector of things, just like me) and I've yet to hear a slammed drawer (thank you Sauder!). And, of course, I'm a form AND function gal, so I have to mention the pretty silver handles. So stylish! Once I get this dresser situated in my bedroom, I'll come back and show you how I styled it as a bedside table. 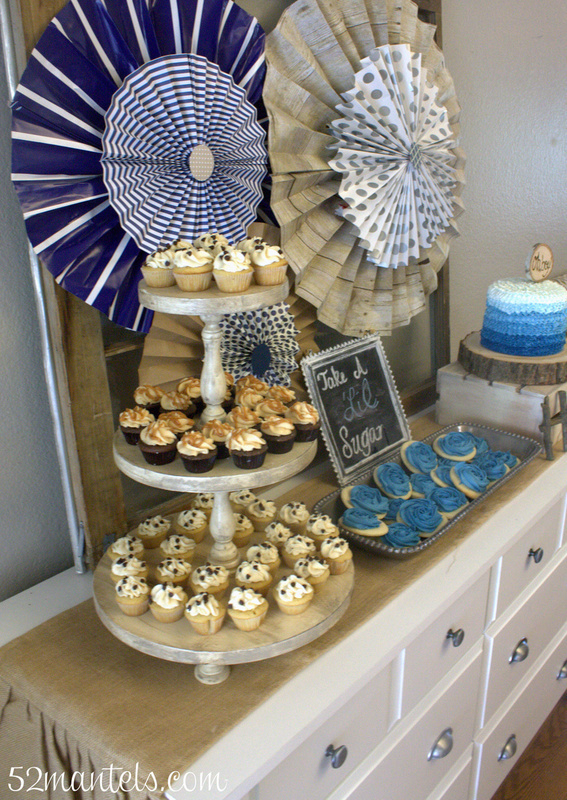 And, of course, I'll be returning in a few days to show you all the details of my Rustic Chic Baby Shower :). ***This is a sponsored conversation written by me on behalf of Sauder. The opinions and text are all mine.